VietNamNet Bridge - Due to the excessive exploitation of ngan (Austriella corrugata), the number of oysters has declined seriously. Quang Ninh provincial authorities are taking serious measures to conserve the precious gene. Ngan, as called by Vietnamese, is a specialty existing only in the northern province of Quang Ninh. 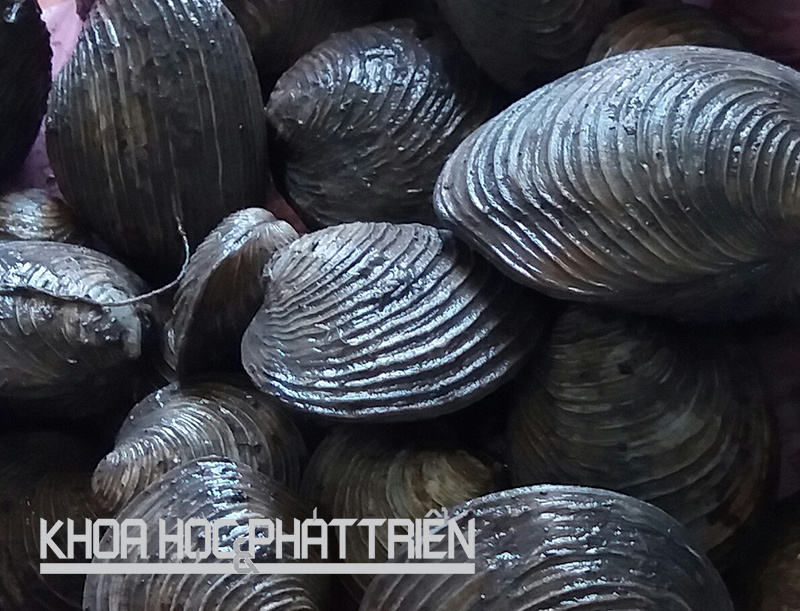 It is a mollusk species, living in marshes, tidal estuaries and seaports. It looks like a clam, but it has a dark brown shell which is thicker and harder. Quang Ninh’s ngan is round or oval. The specific conditions in topography, climate, rivers, mangroves and marine systems all help create the delicious taste of ngan. Kieu Van Nguyet, chair of the Farmers’ Association in Dong Rui commune of Tien Yen district, said that thanks to the alluvial water from Ba Che River, Dong Rui’s ngan tastes deliciously buttery. Quang Ninh’s ngan meat has 16 kinds of amino acids, with the methionine and lysine content of 2.03 and 6.57g/100g protein at minimum, which is higher than that in carp (1.1 and 0.8g/100g). According to the Quang Ninh Center for Science, Technology and Aquatic Breeding Production, Quang Ninh’s ngan meat has 16 kinds of amino acids, with the methionine and lysine content of 2.03 and 6.57g/100g protein at minimum, which is higher than that in carp (1.1 and 0.8g/100g). Lysine is an amino acid that is the major element contributing to the special taste of ngan. In 2014, NOIP issued the certificate of registration of geographical indication "Quang Ninh" for the province’s ngan. According to Nguyet, large-size ngan can be sold for VND500,000. The high price and promising high income prompt locals and people from other localities to flock to Quang Yen Town to catch ngan, thus exhausting resources. In 2016, the provincial authorities assigned the Center for Science, Technology and Aquatic Breeding Production to work on solutions to conserve the precious gene source. The center’s director Dang Khanh Hung said in the past, the center tried to breed ngan, but the project failed because of the low survival rate. But he hopes scientists would create the sustainable ngan material sources. After analyzing the ngan collected from five communes in the province in terms of amino acids and genetic diversity coefficient, the scientists have chosen Hoang Tan, Dong Rui and Dong Hai communes for the conservation project. Hoang Thi Thu Hien from the center said households were given responsibility to look after ngan, preventing the exploitation during the breeding season (the sixth month in lunar calendar). Farmers are prohibited from exploiting small-size ngan (less than 3cm) and bring ngan from other localities to avoid crossbreeding.